2019 has started proper, and just because February is the shortest month of the year, it doesn't mean Netflix has skimped on giving us some truly fantastic content for the coming month. For those with access to a good VPN (and if you're looking for some recommendations, check out our guide here), you can also watch stuff from the U.S. version of Netflix, and our guide on what's happening there in February can be found here. New shows, returning shows and a couple of comedy special are what's happening in February on Netflix. Think of it as a very dark version of 'Groundhog Day' (although the classic film itself was a bit dark, in places), new Netflix Original series 'Russian Doll' sees Natasha Lyonne ('Orange is the New Black') star as Nadia, a woman who gets caught in a time loop where she dies over and over again for no apparent reason. Stream the entire first season this soon to be talked about series starting on the 1st of February. With Disney's Marvel stuff soon to start disappearing from Netflix's catalogues, what better time for Netflix to start creating its own original comic book inspired content, and in February, one such series arrives in the form of 'The Umbrella Academy'. A group of superheroes, all born inexplicably on the same day in 1989, band together to try and save the world. It stars some big names including Ellen Page and Tom Hopper, and you can stream the entire first season starting February 15th. There are a few returning series as well that are well worth a mention, including the fourth season of 'Gotham' (1/2/2019), and Carrie Mathison returns in the latest and one of the most exciting seasons of 'Homeland' - stream the entire season 7 starting February 15th. Two very special comedy specials also arrive in February. 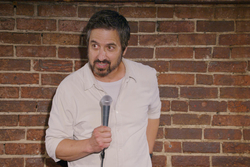 Ray Romano returns to stand-up after a 23-year break in 'Ray Romano: Right Here, Around the Corner' (5/2/2019), Ray waxes lyrically about choosing friends, surviving marriage, and knowing the difference between being old and not being young. Also returning to stand-up is Ken Jeong, you may better know him as Mr Chow in the 'Hangover' series, or as Senor Chang from 'Community'. I happened to have had the pleasure of going to one his shows when he was in Melbourne, and you can expect some very funny stuff, as well as a lot of insight about his work on the two iconic series. Arriving on Valentine's Day, and so very appropriately titled 'You Complete Me, Ho', make sure you don't miss out on one fantastic set. It's actually quite a big month for movies, with a few blockbusters joining the likes of Netflix Originals and classics. I was never really into the 'Fast & Furious' series (although I do remember the first movie's DVD gave my sound system quite a workout), but many people are and the latest film in the series, 'The Fate of the Furious' (2/2/2019), will be a popular pick for those looking for some pure action. It may not have received a warm reception from critics and was largely thought of as a missed opportunity by fans, but 2017's 'Ghost in the Shell' (7/2/2019) is by no means a bad movie - just not a great one. 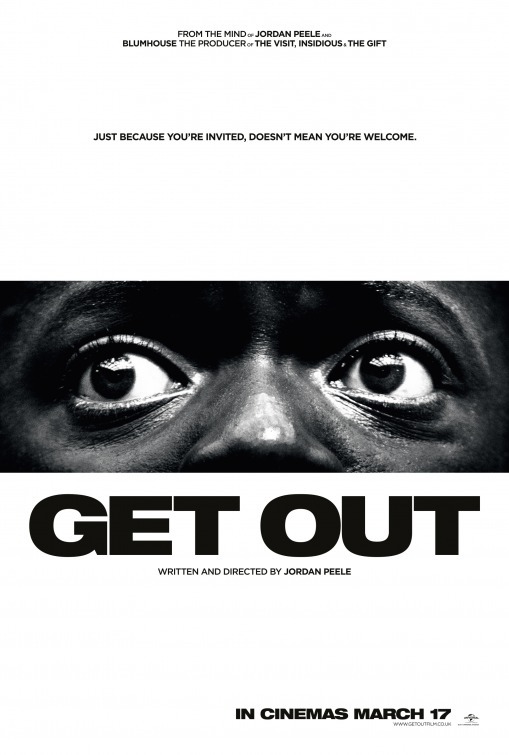 What is a great one though is Jordan Peele's directorial debut in 'Get Out' (9/2/2019), and what a debut! The multi-layered film has everything going for it and it's a satisfying ride from beginning to end. There are also some Netflix Original Films that will also surely be generating a lot of buzz in February, including Jake Gyllenhaal's horror thriller Velvet Buzzsaw (1/2/2019), Steven Soderbergh's return to direction in the sports drama 'High Flying Bird' (8/2/2019), and an unique friendship is explored in Ray Romano's potential tear-jerker 'Paddleton' (22/2/2019). Other highlights include the based on a true story 'Concussion' (15/2/2019), animated mayhem in 'Sausage Party' (16/2/2019), and teen romance in 'The Space Between Us' (21/2/2019). A shoutout also to 2004's 'Dawn of the Dead' (15/2/2019), which had no right to be so good given that it was a remake. And even after so many seasons of 'The Walking Dead' and countless other zombie films, the film still stands out as one of the best. Just make sure you stick it out until the very end for the after credits scene. A very eventful February it is then. Have fun streaming! Here's a list of everything that's coming to Netflix in February. Content highlighted above shown in bold below.